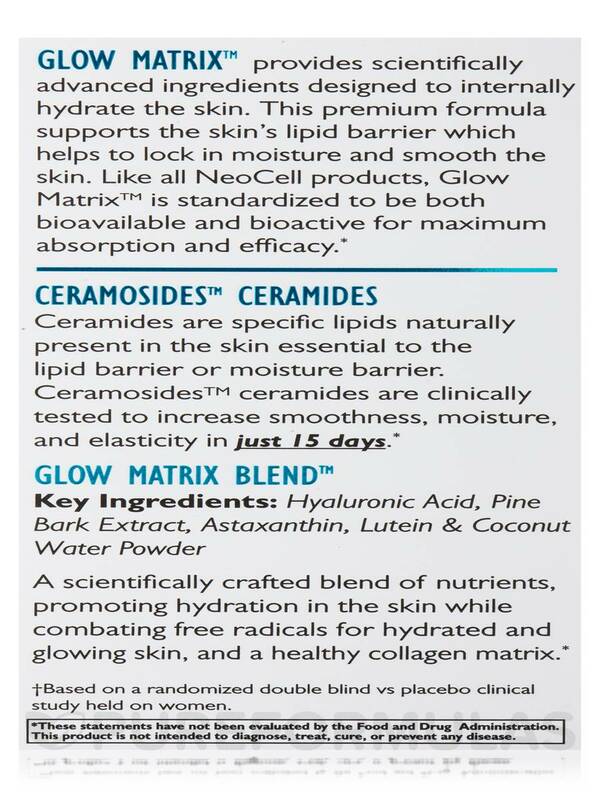 Help Improve Skin Moisture and Elasticity! 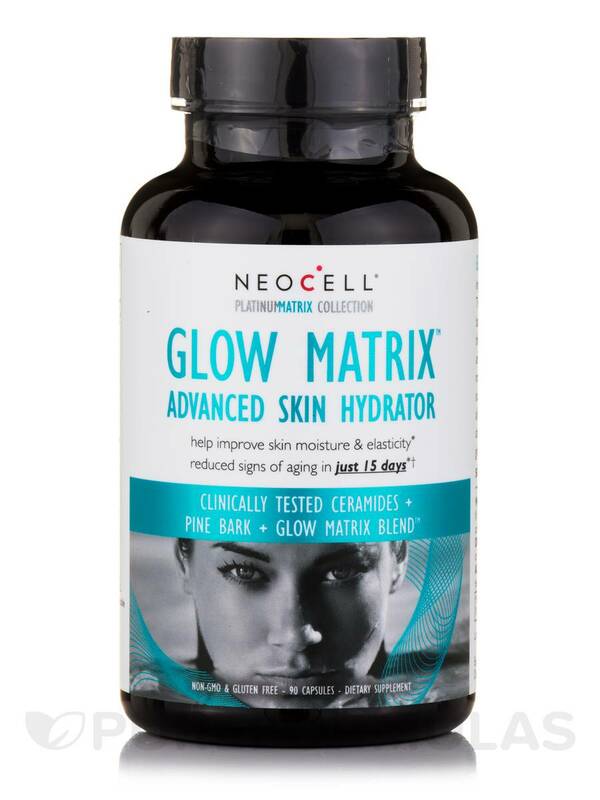 Glow Matrix™ provides scientifically advanced ingredients designed to internally hydrate the skin. 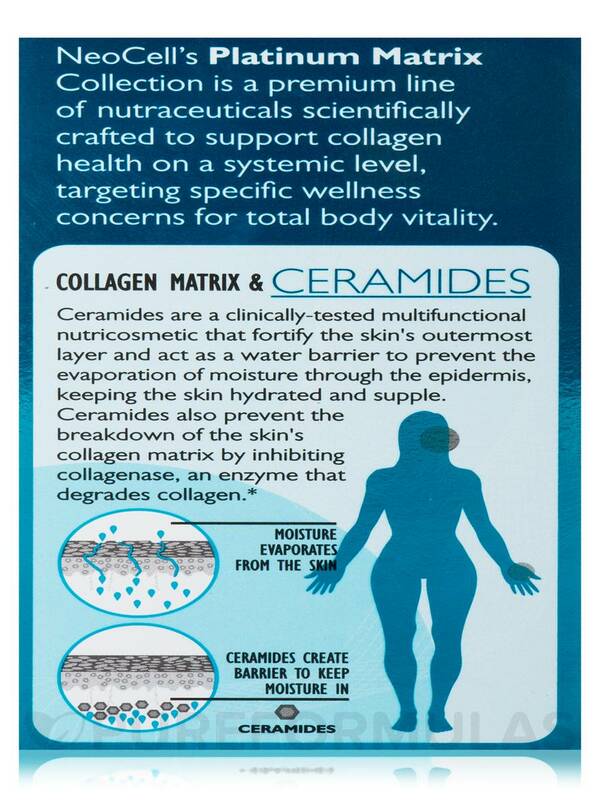 This premium formula supports the skin’s lipid barrier which helps to lock in moisture and smooth the skin. 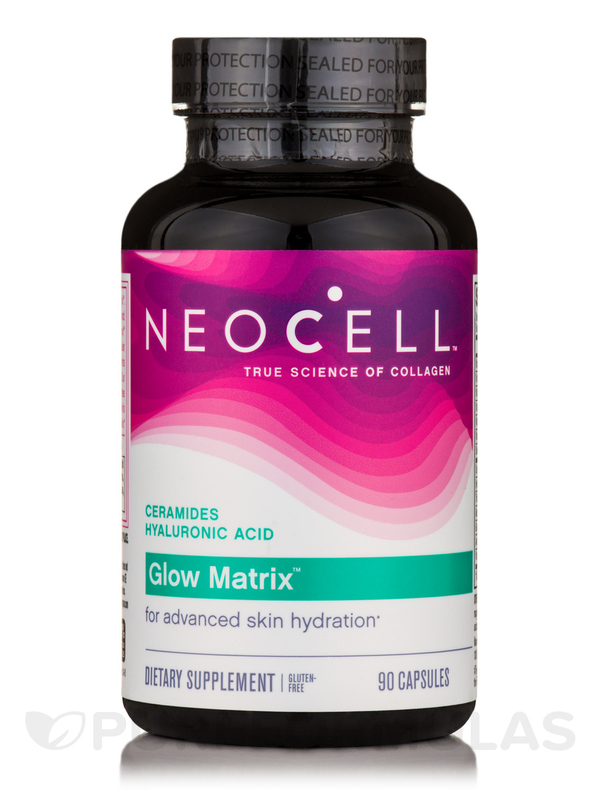 Like all NeoCell products‚ Glow Matrix™ is standardized to be both bioavailable and bioactive for maximum absorption and efficacy. 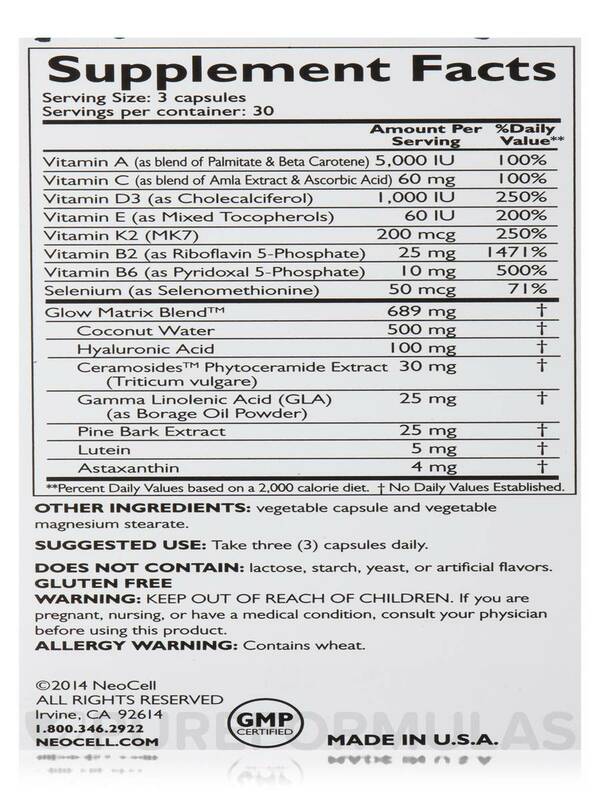 Other Ingredients: Vegetable capsule and vegetable magnesium stearate. 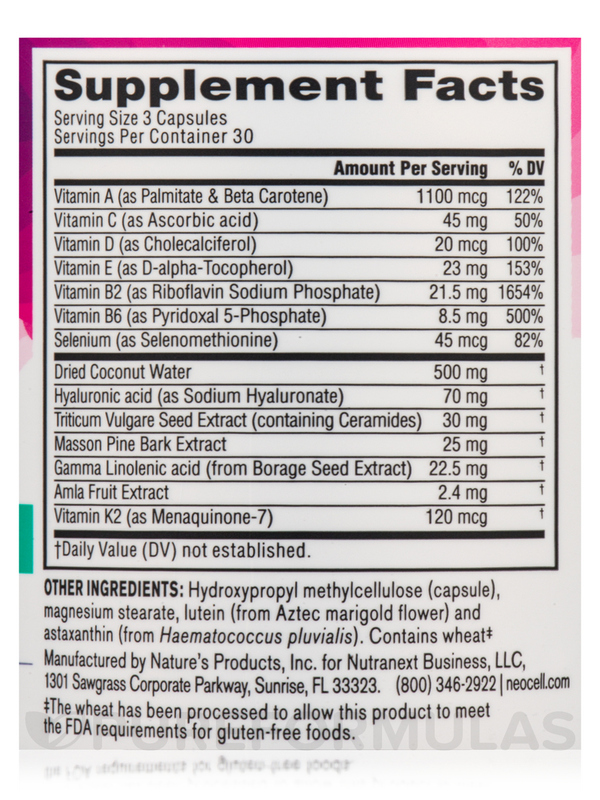 Does not contain lactose‚ starch‚ yeast‚ or artificial flavors. 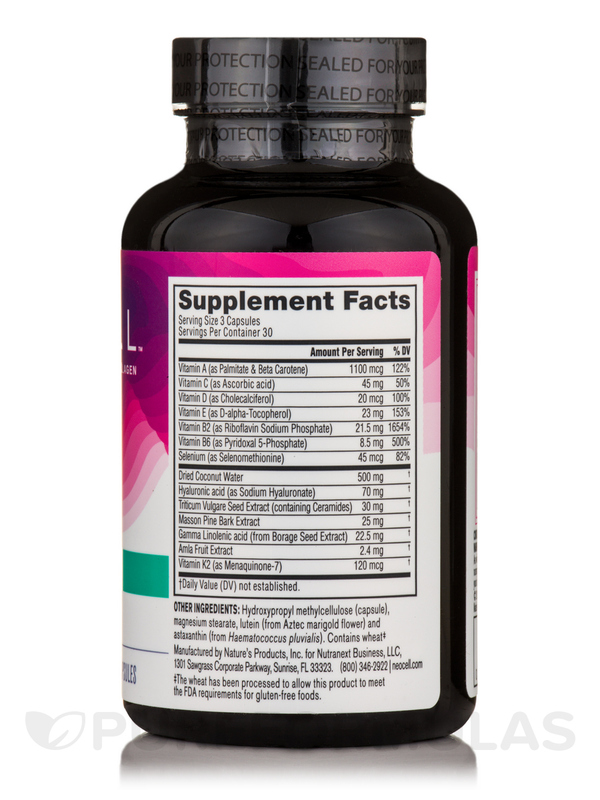 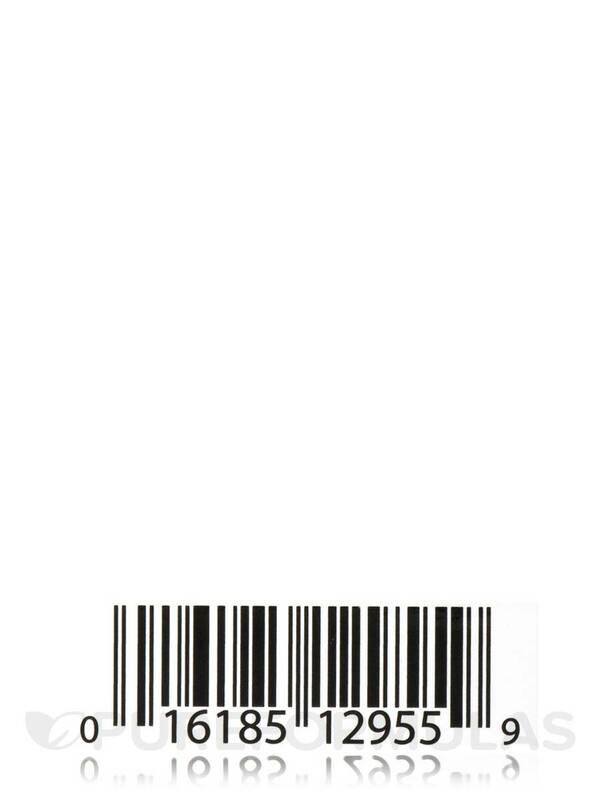 Non-GMO / Gluten-Free / GMP Certified / Made in USA. 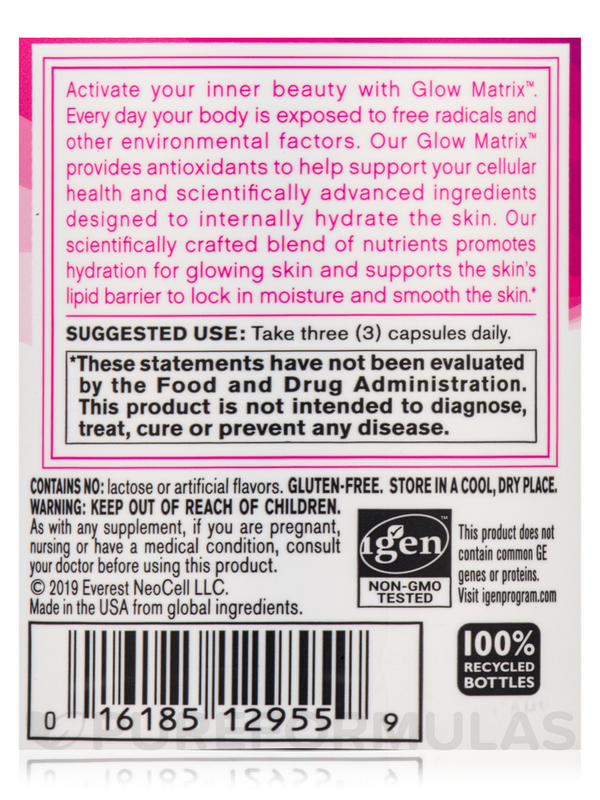 If you are pregnant‚ nursing‚ or have a medical condition‚ consult your physician before using this product.